Douglas Pereira is officially an FC Barcelona player. On Friday August 29, he arrived in Barcelona first thing in the morning for an intense day that involved a photo shoot with the club crest, his medical test, the signing of his contract and his presentation both to the Camp Nou and to the media at a press conference. Here’s a video review of his first day at FC Barcelona. During the official presentation of Douglas Pereira as a new Barça player, a video showing highlights of his career was shown to members of the press. Now you too have the chance to enjoy this collection of images of the player at his best. He also said “thank you to the club for its confidence in me. Now it’s up to me to do the job. I’ll work with the coach to find my place in the team and then I’ll do whatever he needs of me,” He will start training tomorrow and claims to be over his fitness concerns. “I’m fine, I’ve been training at full strength for the last few weeks” he explained. “I’ll start training and helping my colleagues from tomorrow morning. I’ll show them what I can offer as a player”. The Brazilian responded to doubts about whether he is up to the standard required of a club like this by saying that “I feel ready. I’ve come here to play football and that’s what I’ll do.” He described the move as making him feel like a child again, saying that “I now have to work to make this dream a reality”. 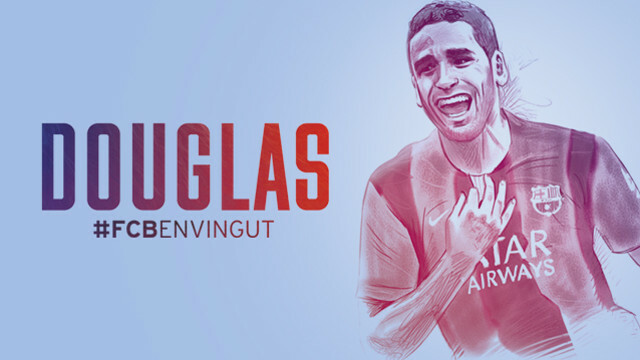 It’s set to be a busy day for Douglas, with his medical at the Ciutat Esportiva this morning and his unveiling in front of the media this evening and it was clear that he’s excited about joining the Club: “I want to learn, because the game here is different to how we play in Brazil”. 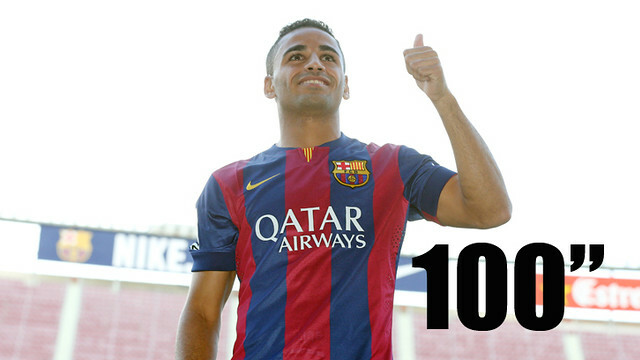 Douglas is also well aware of the quality he’s joining at the Camp Nou “they are all big stars. I’ve seen them play of course and I’ve played against Neymar in Brazil – he is a sensational player and a great representative for the Brazil team”.